Where will you be on October 5? On October 5th thousands of people across the country will stand up for immigration reform. Will you be one of them? VOLUNTEERS NEEDED! Please email reform@ilgrp.com to volunteer at the October 5 rally. We need volunteers to staff action tables, help with booths, help with set up and clean up, and make sure that this rally rocks! A comprehensive reform bill has not yet passed in the US House of Representatives and certain political leaders are trying to block a vote, even though there is enough bipartisan support to pass a comprehensive bill. Immigration reform would provide concrete solutions for the 11 million undocumented people currently living in this country and contributing to our communities. This is one of the most important social justice issues of our time. Immigrant rights are human rights. We cannot sit by and allow our leaders to let partisan politics stand in the way of meaningful reform to our broken system. For our friends, our families, our neighbors, and our communities we must stand up and speak out for immigration reform! 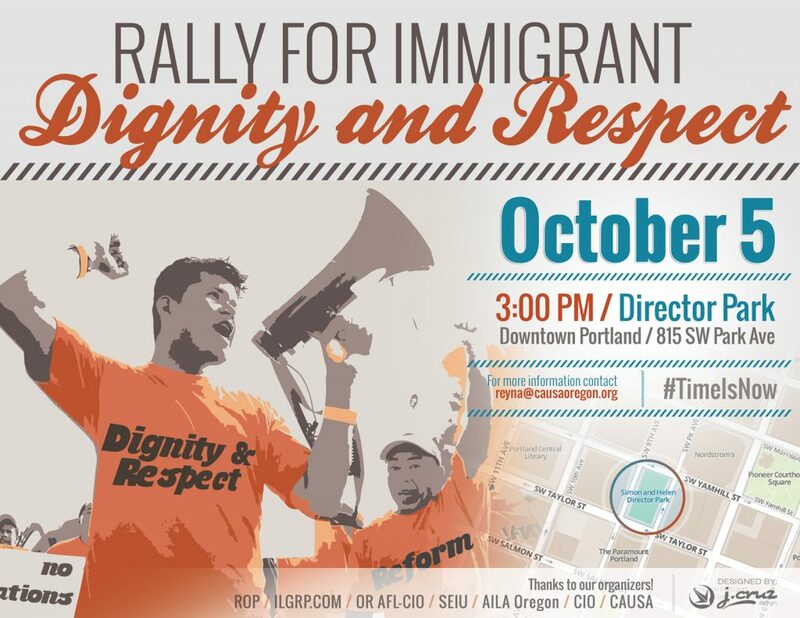 Join organizers across the country in support of immigrant justice on October 5, 2013. 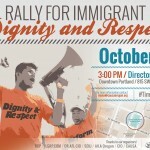 Sponsors: Immigrant Law Group, Causa, Oregon AILA, OR AFL-CIO, SEIU, ROP, and CIO.